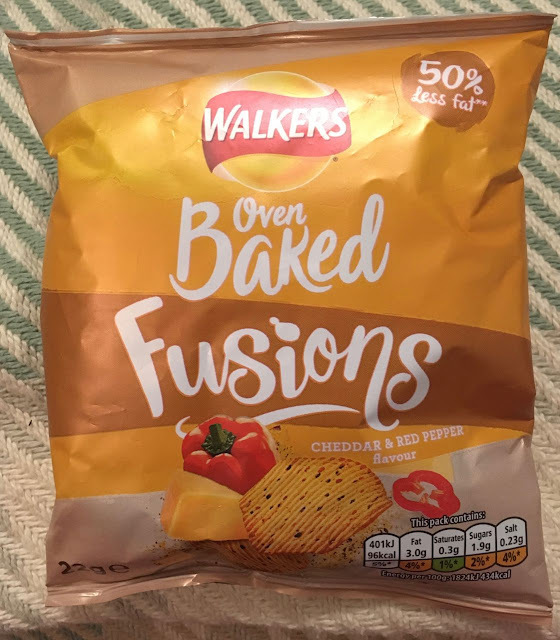 These new Cheddar & Red Pepper flavour Fusions have 50% less fat in them than regular potato crisps. They are made with potato flakes and oven baked. They are sported as ‘light & crispy’ as well as having a ‘mouth-watering taste’. 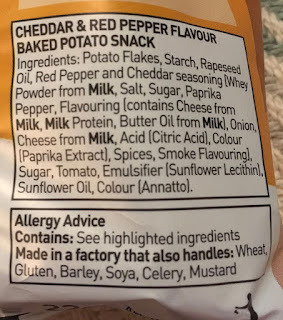 They mention ‘real ingredients’, so I expect the ‘Cheddar’ part of the flavour is real Cheddar cheese and I’m also expecting some spiciness from the red peppers. The 22g packet has 96 calories, with 3g of fat, 1.9g of sugar and 0.23g of salt. 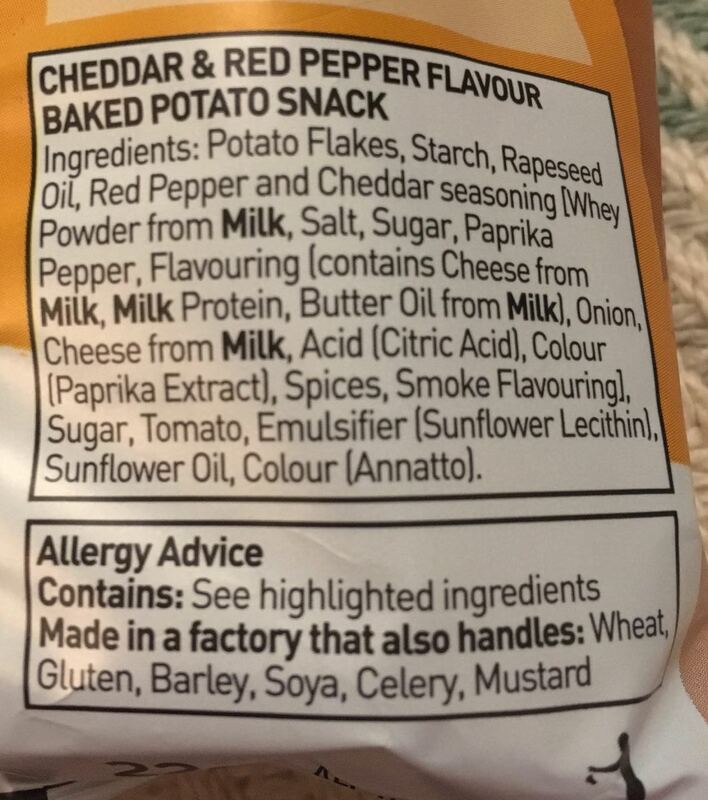 Please see photograph for the ingredients.